Complete this form to enter the National Car Wash League. To enter your station in the National Car Wash League, simply complete the below form and our team will be in touch to get you up and running. If you are going to be the point of contact for your Car Wash, please give your name. Otherwise, please detail the name of the person with whom we should liaise regarding your Car Wash.
What's the best email to contact the car wash organiser? What is the best phone number to contact the car wash organiser? The information you have provided will be used by the Charity to contact you regarding the National Car Wash League. 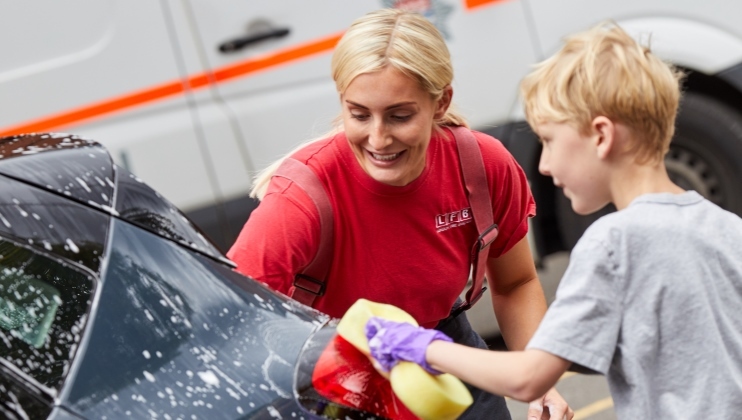 We would also like to use your information to enable us to contact you with news and information about The Fire Fighters Charity and inform you about other ways you can support us. Are you happy for us to contact you by SMS text messages? Please let us know what information you (the named organiser above and for whom you have provided an email address) would like to receive from The Fire Fighters Charity. Would you like to hear news and information about the Charity?